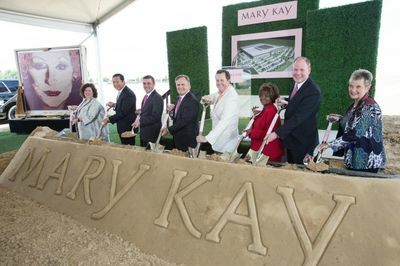 Exactly 53 years to the day after Mary Kay Ash launched her dream company from a small Dallas storefront, Mary Kay Inc. is breaking ground on a new 480,000 square foot U.S.-based global manufacturing and research and development facility located on a 26.2 acre plot of land in Lewisville, Texas. DALLAS – Sep. 13, 2016 – Exactly 53 years to the day after Mary Kay Ash launched her dream company from a small Dallas storefront, Mary Kay Inc. is breaking ground on a new 480,000 square foot U.S.-based global manufacturing and research and development facility located on a 26.2 acre plot of land in Lewisville, Texas. 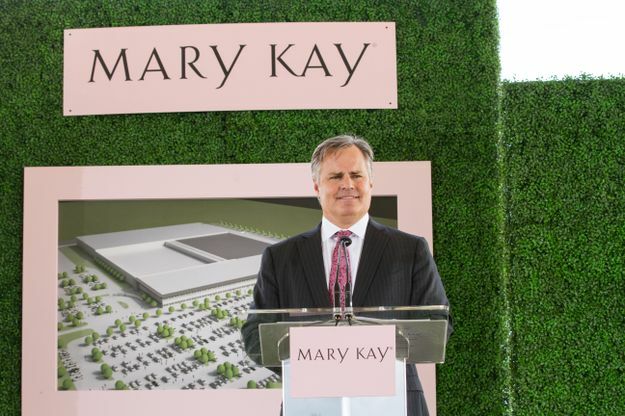 As the global cosmetics company approaches the status of a top five beauty brand, the new more than $100 million building will support the company’s future needs in producing skin care, color cosmetics and fragrances for more than 3.5 million Mary Kay Independent Beauty Consultants in more than 35 countries. Following an exhaustive search of potential locations throughout North Texas, Mary Kay identified the city of Lewisville in Denton County last November as the future site of its new state-of-the-art manufacturing and R&D facility. The new building will be located at the northeast corner of Denton Tap Road and Vista Ridge Mall Drive with a projected completion date of first quarter of 2018. The criteria for selecting the new site included employee and logistical considerations, as well as proximity to the company’s other North Texas facilities, including its global headquarters in Addison, a distribution center in Carrollton and a warehouse facility in Dallas. 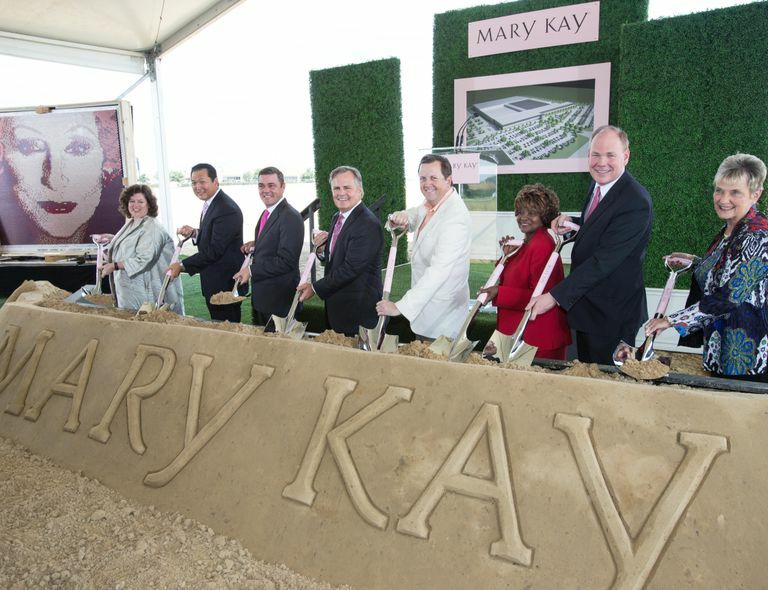 Standing alongside Mary Kay’s executive leadership team during the ceremonial groundbreaking were representatives from Jacobs Engineering which will provide the building design, Beck Construction serving as the general contractor, members of the Denton County Commissioners Court, the City of Lewisville City Council and Lewisville Mayor Rudy Durham. The beauty company’s current 420,000 square foot global manufacturing and R&D facility opened on Regal Row in Dallas in 1969. 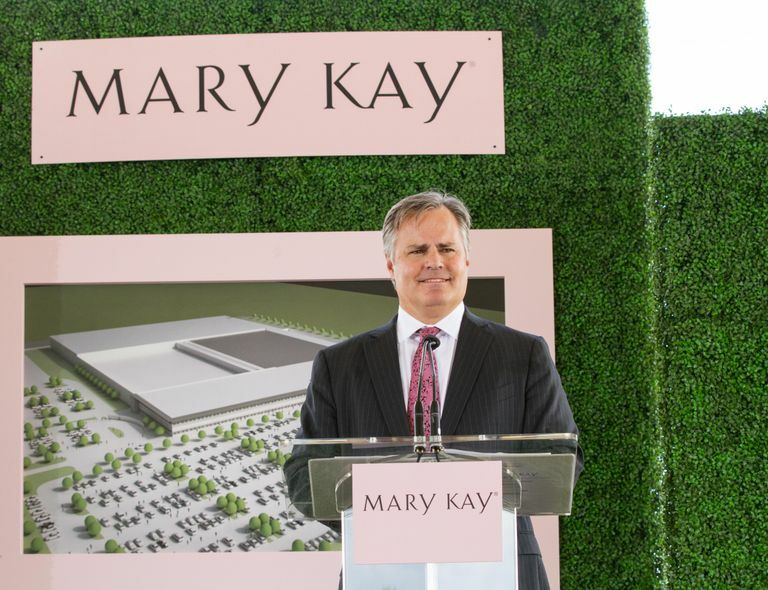 Today, the company employs more than 500 manufacturing and R&D employees and produces up to 1.1 million products per day, of which 57 percent are exported to Mary Kay’s international markets. Mary Kay Inc. invests millions of dollars in research and development and conducts more than 500,000 tests each year to ensure Mary Kay® products meet the highest standards of quality, safety and performance. For more information about the science behind Mary Kay® products, click here.